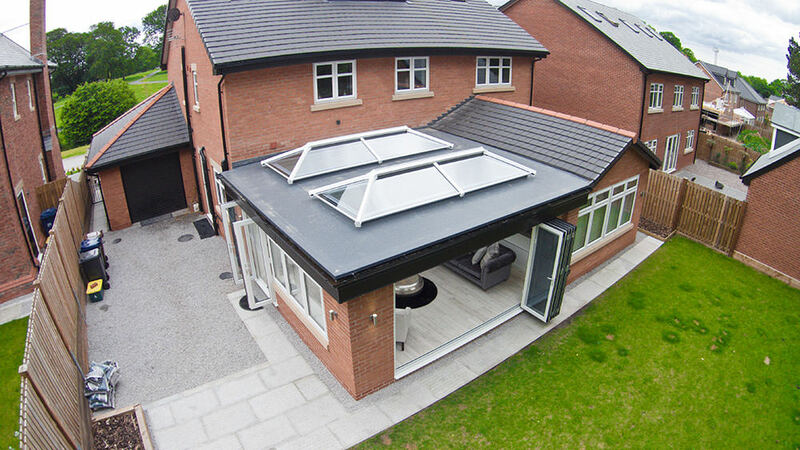 Our contemporary roof lanterns & skylights are a brighter addition for any home. Roof lanterns, roof lights and sky pods and are suitable for modern new build properties, extensions or refurbishment projects. They are the modern, practical way of allowing natural light to flood into your home, providing a feeling of spaciousness throughout. More and more home designs incorporate flat roof lights to maximise the amount of daylight entering the roof. They are double glazed with toughened safety glass as standard, offering excellent weathering properties to keep your home warm in winter and cool in summer. Solar control glass in a neutral tint can also be fitted on request. All roof lanterns are available in various bespoke, made to measure sizes. This includes both thermal break aluminium or aluminium profiles with a uPVC capping, including a choice of standard colours, ‘White’, ‘Black’ and ‘Anthracite Grey’. The Atlas roof lantern design captures a sleek, stylish aesthetic to ensure an eye-catching and contemporary addition to any Fleet home. This is made possible by low, external sightlines that increase the glass surface area to allow for increased views and a heightened amount of natural light coming into your home. This design allows them to be 70% slimmer than the average roof lantern design, whilst simultaneously eliminating the need for chunky covers. 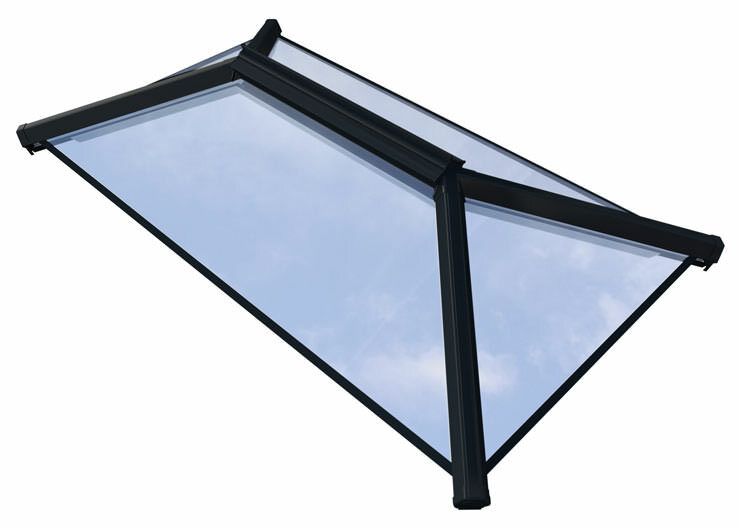 This roof lantern prides itself on offering ‘more sky, less roof’, effortlessly enhancing any home in which they are installed. Building upon the slim aesthetic with an innovative and high quality design, our roof lanterns also achieve exceptional standards of strength. This is achieved by extra strong rafters, which not only allow for increased security, they also allow for a heightened roof angle for more headroom. 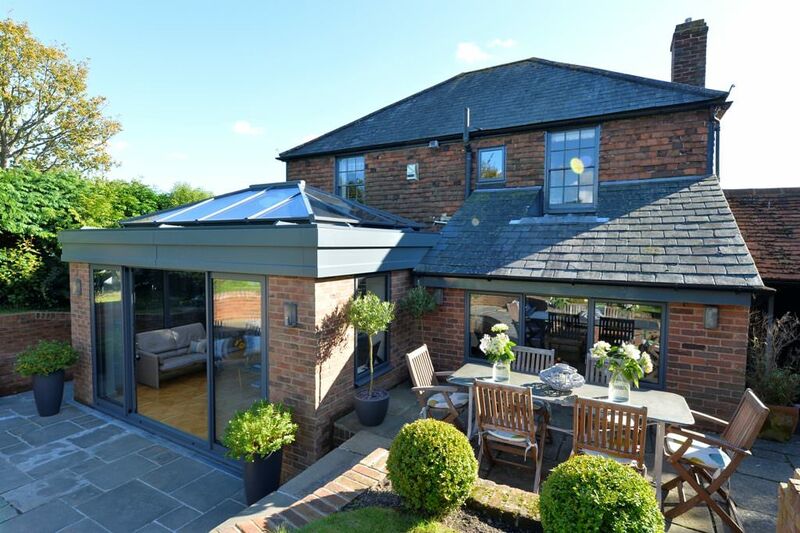 Due to their design, these contemporary aluminium roof lanterns are available in a wide range of colours to ensure you can easily find the perfect look for your home. With the whole RAL colour range at your disposal, these high quality, long lasting colours are sure to satisfy. Our skylights and roof lanterns have a variety of opening options. We can install remote control vent openings, and you can even add blinds! Customers in Fleet and Hampshire can customise our roof lanterns to fit in perfectly with your existing architecture, style, and personality. The UltraSky roof lantern system offers a versatile, high quality design that can be easily installed into both modern and traditional homes. This design can be easily tailored to your property in Fleet, with sizes ranging from 1m x 1.5m to 2m x 4, giving you the option to allow in as much or as little light as you wish. Achieving high standards of thermal efficiency, the UltraSky roof lantern utilises thermally efficient glazing to increase the heat retention of your home. The technology built within will also stop cool are escaping. This roof lantern is an exceptionally stylish way to enjoy a warmer home throughout the colder period of the year, and enjoy a cooler room in the summer. Tested and approved in accordance with BBA standards, the UltraSky roof lantern combines a wide variety of features to offer you more. This includes an overhang glazing bar, thermally broken aluminium ridge and slim sightlines which are all in place to provide you with the perfect view to the sky. You can also outfit this roof lantern design in a range of extras, including a roof vent that allows for increased ventilation without reduced security. This allows you to enjoy fresh air, home comfort and peace of mind, simultaneously. With so much more light entering your Fleet home and less heat escaping, you can trust your energy bills to decrease over the years. 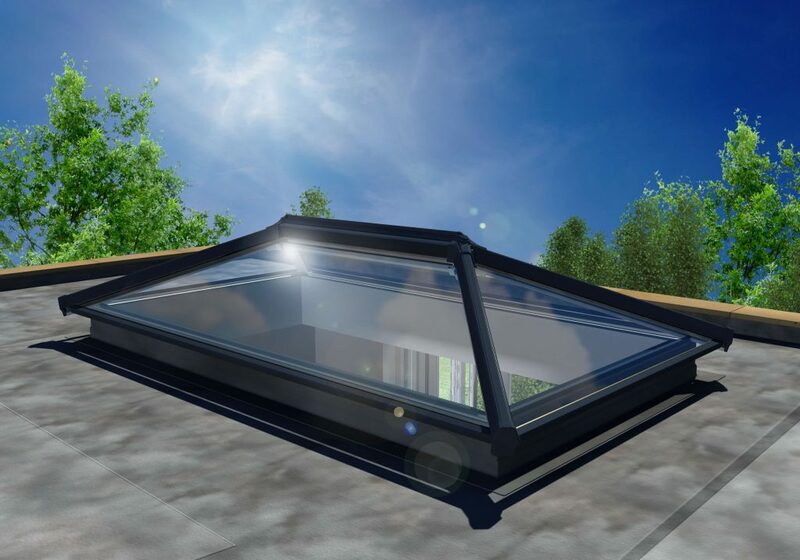 The flat rooflight is suitable for flat roofs and designed to be installed onto a preformed kerb, with a minimum of a 5⁰ pitch to allow the water to run off. This design is the perfect option for allowing natural light to flood into your home, whilst simultaneously enhancing your home with a sleek, minimalist addition. With a range of opening options available, our flat rooflights will allow you to tailor their installation to your home. For example, flat rooflights that don’t open are perfect for rooms that already have a source of fresh air, allowing you to enjoy more natural light in a practical way. As the result of innovative design and manufacturing process, our flat rooflights & skylights allow you to enhance your home with a design that excels across the board. This means you’ll be able to enjoy high standards of security, increased natural light exposure, and thermal efficiency – all in a cost-effective way. 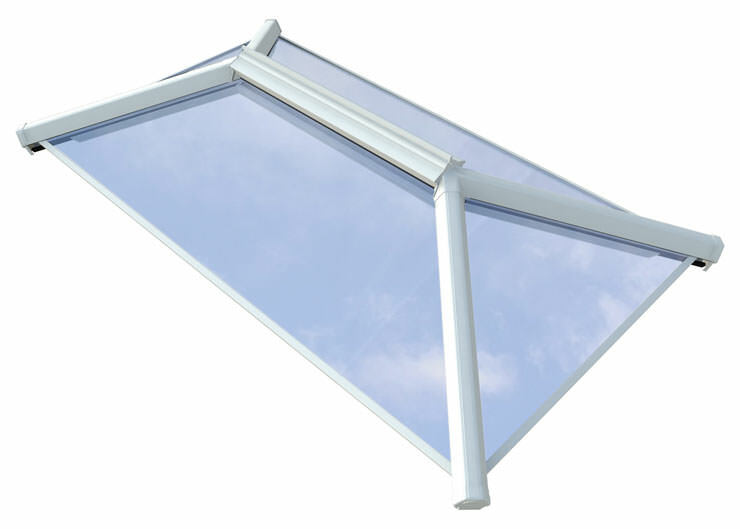 The ensure the glazing detail of our roof lanterns and flat rooflights is properly supported to your existing roof, we require high quality kerbs to be preformed prior to installation. The kerb is the platform that is build within the roof, and your roof lantern. It will ensure that the the window is supported and performs to the highest ability. Our expert team of fitters will ensure your kerb is fitted to the highest standard, allowing you to enjoy an addition to your home that offers a beautiful aesthetic with outstanding performance. By following the Building Regulations, we are able to install our roof lanterns into many pre-existing builds and flat roofs, so you can enjoy the open sky from indoors, with little cost. Protect yourself from the elements and let the light in, today. Although skypods capture the traditional aesthetic of a classic roof lantern design, they ensure a more subtle addition by being fitted directly to the kerb detailing. This allows you to enjoy a more sleek, stylish aesthetic that offers a wonderful middle ground between a flat roof light and a roof lantern. Our high quality skypods & skylights allow you to add height and volume to any room in your house. Even small rooms will be enhanced with increased natural light and spaciousness. Their contemporary design will bring a modern flair to both traditional and modern homes alike. If you would like more information on roof lantern prices, styles, and technology, feel free to contact us. Our team of friendly experts can give you a free, no obligation, quote for you to kick start your home improvement. Use our online quoting engine below to get a free and highly competitive roof lantern quote, today. Cristal Windows offer their double glazing services to homeowners in Fleet, Farnham, Aldershot, Bagshot, Basingstoke, Camberley, Cove, Farnborough, Frimley, Hook, Lightwater, Yately & throughout Hampshire. If would like to enhance your home with a roof lantern, skylight, or skypod, choose Cristal Windows. We are a local and reputable company with an expert team of surveyors and installers.